Is BlueHost Web Hosting the best choice for you? Welcome to Bluehost Web Hosting! The EntrepreneursGateway.com have tested Bluehost to the absolute MAX in this Definitive Review to see if it’s the perfect web hosting choice for you. How reliable, fast and affordable are they as a web hosting provider? What features come with Bluehost and how easy is it to use? 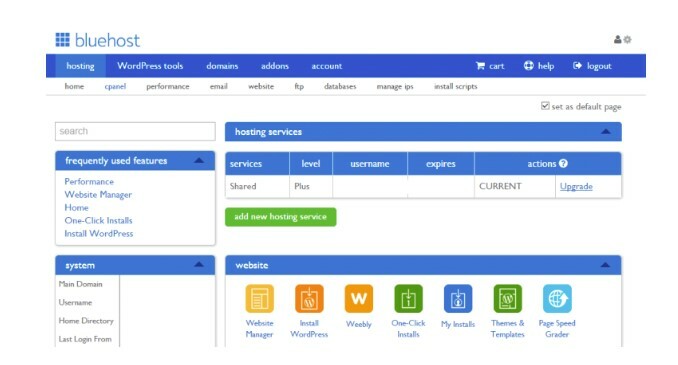 If you are looking for a WordPress web hosting solution, then you MUST read this review! Bluehost hosting is reliable and has fast servers with an uptime of 99.99%. 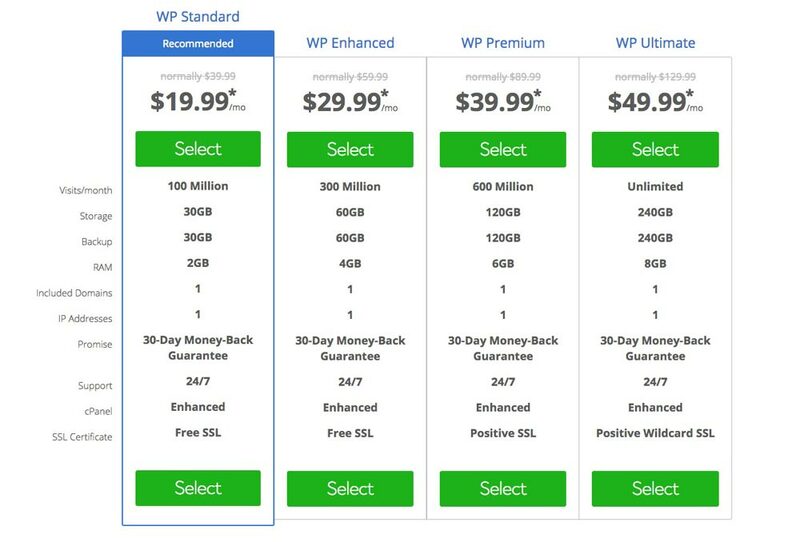 Bluehost offers various pricing plans and additional features. But be aware that the heavily discounted prices it boasts tend to be if you sign up for 36 months and renewal prices aren’t as generous. Very straightforward control panel with clear icons which is very user-friendly for even beginners. Bluehost have customized their dashboard for their customers to make it more user-friendly. 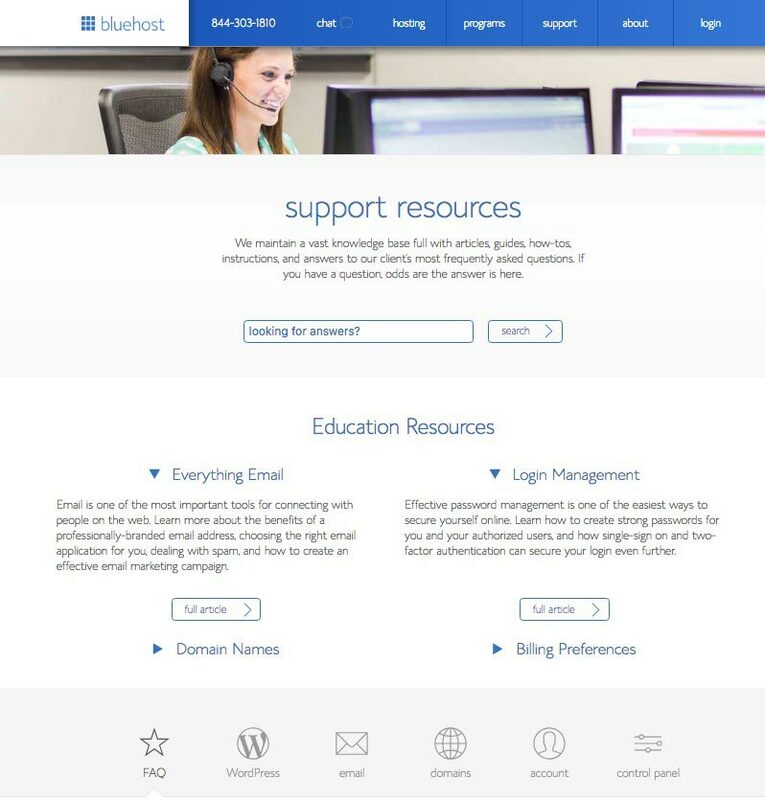 Bluehost offers support 24/7, 365 days a year through either live chat, the phone, and email. But tend to offer more help to those on the more expensive plans. Performance:How fast your website will load using Bluehost Hosting and what measures have been put into place to ensure your website is available to your customer/prospects without any downtime? Support: Does their customer support offer quick solutions and help and can you count on them? Usability: Do Bluehost offer everything that you will need when building your website? 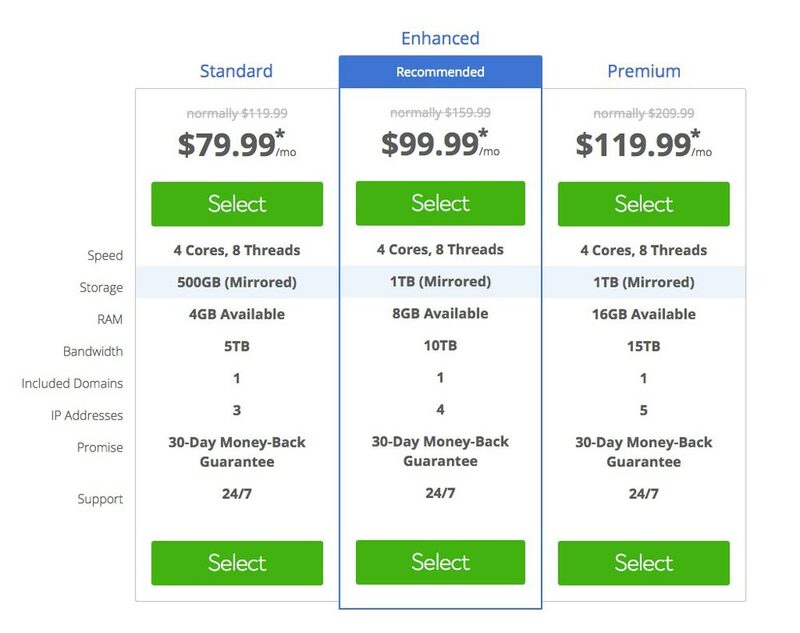 Cost: Do Bluehost offer the best pricing within the marketplace? And more importantly, what deals can help save you money? What and who are Bluehost? Established in 1996 by Danny Ashworth and Matt Heaton, Bluehost positions itself as offering the best web hosting for small businesses and start-ups. They are one of the official hosting providers recommended by WordPress. (Currently, there are only three hosting providers who have won this recommendation from WordPress). Owned by Endurance International which is the biggest hosting company in the world, enabling them to employ the best of the best when it comes to network engineers, their customer service team, and executive teams. They currently employ 750 staff. Having this advantage of being so big also gives them the finances and capital to be able to make huge investments in their servers and network. They currently host over 2 million websites worldwide. Who are Bluehost most suited to? If you are on a tight budget, but be prepared for the upselling. Check out the Definitive Review & Tutorial for #Bluehost #Webhosting and take action to get a web hosting provider that you can trust! One of the most important metrics in the performance of a hosting provider is speed. Not only does it affect the experience of your website users, but the SEO rankings are also affected. Did you know that just a 1-second drop in speed decreases your conversion rates by up to 7%? That means that if you have a 3-second delay, it could cost you a staggering 50% of your traffic. Scary eh? So, with this in mind, let’s see how Bluehost did. We used Pingdom for our website speed test. As the results show, Bluehost’s average loading time was less than 2 seconds which is good, especially as we weren’t using any caching plugins! Because Bluehost carries the ‘Recommended by WordPress’ tag, its fair to say that we would expect excellence from them when it comes to both performance and reliability. 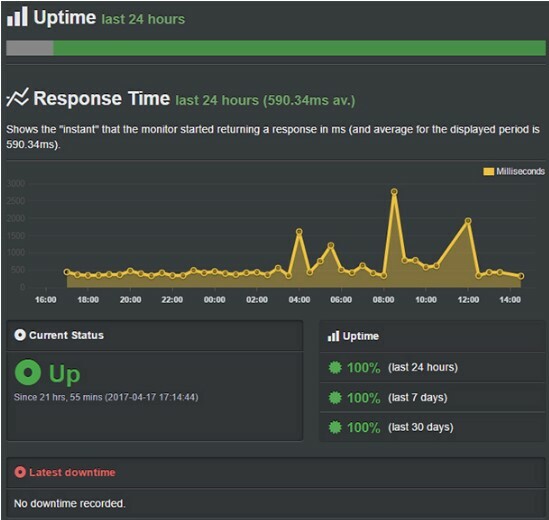 Uptime is key when you are looking at a hosting provider for your website, and after various tests, their uptime results were very pleasing. The result over 7 and 30 days came in at 100% uptime. It is also worth mentioning that Bluehost used to guarantee of 99.9% uptime. They have however removed this statement from their website and replaced with their server uptime agreement. This means that if you were to suffer server downtime and wished to cancel your contract then as their commitment to you, they would not charge you. With testing tools such as Pingdom, you basically get to see how everything on your site loads. This also includes your images on your site because they usually take longer to load. So, for us to get a more accurate response time, we have also used the tool ‘Bitcatcha.’ This tool allows you to test your server response time without loading any data. Pretty good if you have an audience in the US, as their server loaded in under a fraction of a second. If, however, your users were from other areas, it’s easy to change your server location. As Bluehost is recommended by WordPress, they offer their clients ‘one-click’ WordPress installs. Through cPanel, you simply click the ‘Install WordPress’ button. WordPress is the most popular of website builders and enables you to create professional looking websites with ease. It offers you a choice of designing one-page websites which are very simple to that of multi-page sites, e-commerce sites and more. 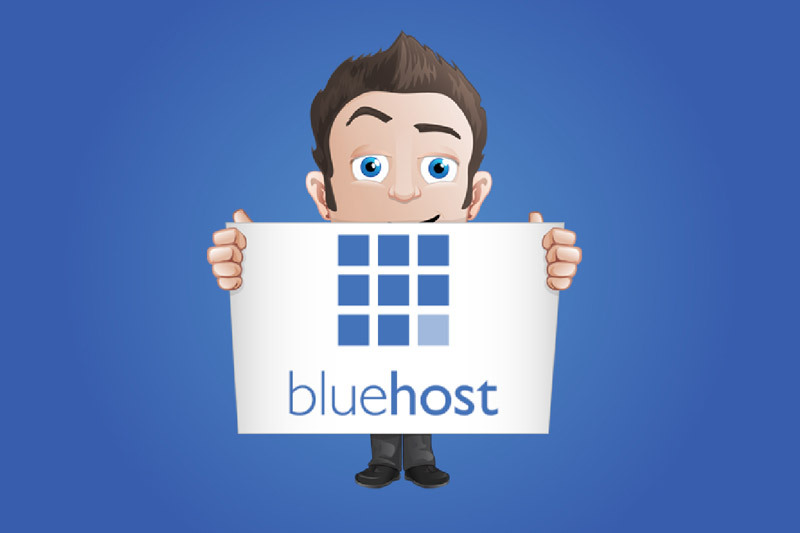 From within your Bluehost account, you also have the option to access Bluehost Marketplace. This allows you to shop for online apps and services. Bluehost use their own version of cPanel. They have customized it for their customers who are less experienced. Certain sections have been organized so that it’s easier to understand and navigate as well as adding their own icons. Unfortunately, this isn’t included in your monthly hosting fee. Bluehost does offer a migration service (up to 5 websites and 20 email addresses), but it will cost an additional $99.99. This is only offered if you take up their shared hosting plan. So, if you don’t have anyone who can help with your migration, or indeed don’t know how to do it yourself, then at least you have the option to use them. Frankly, though, I think it’s a bit of a cheek, especially when other hosting providers offer this free of charge. 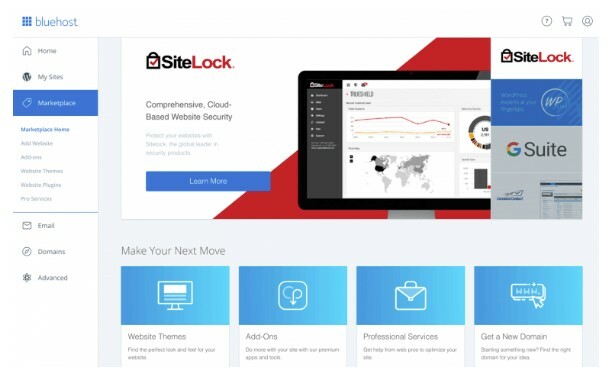 You get a lot of options, with Bluehost at creating an e-commerce website, and what’s more, you get a ‘one-click installer tool, allowing you to get set up in minutes. 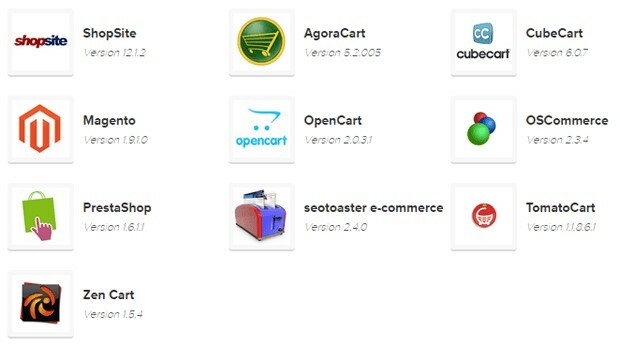 There are also a variety of shopping carts available for you to choose from such as Magento, ShopSite, PrestaShop, AgoraCart, OpenCart, CubeCart, ZenCart, OSCommerce, seotoaster, and TomatoCart. You also have the option to use either WooCommerce or VirtueMart. As well as being able to use a one-click app installer to install WordPress and Joomla. Security is a key player with web hosting. Without it, your website will face many problems. This is why it’s important to understand how your hosting provider guarantees your website is safe and secure. This really should be one of your priorities when deciding upon which hosting provider to go with. With Bluehost, you also have the option to blacklist certain IP Addresses which will protect your site from any unwanted visitors and hackers. Another great feature is SSH (Secure Shell) access, which allows you to access configuration files securely and individually. You also get the option of a single-click integration with CloudFlare, increasing your sites speed as well as offering more security features. Excessive upselling can be very frustrating to users which means there are constant pop-ups all over the dashboard. 24/7 support is only available if your query is of a technical nature. For any administration or billing inquiries, they are only contactable during their office hours. All that said, the Bluehost’s customer support team are more than capable it’s most likely that you will have an average and adequate experience. Web hosting costs start at $4.95 per month (if you take out an annual subscription), $3.95 per month (if you take out a 2-year subscription, $2.95 per month (over a 3-year subscription or a 5-year subscription). When you renew, however, these prices do go up! The basic package doesn’t provide Cloudflare CDN, so it’s recommended that you sign up directly to Cloudflare and incorporate free CDN. This will greatly reduce your accounts bandwidth. This package really is only for those people who wish to host just a single website and have no plans to add additional sites in the future. The Plus package is the most popular of them and is feature rich. Offering free CDN and $200 worth of marketing coupons (AdWords and Facebook Ads) helping you to be able to market your website. If you need a dedicated I.P address and an SSL certificate, then this package is recommended, but when picking your hosting plan, be sure to also think about any future plans as you could end up paying more than you want to. For those of you who are expecting high traffic to their website, looking for more power, or are simply not wishing to use a shared business server, then Bluehost offers you a virtual private server (VPS) option. Bluehost offers their clients three subscription levels of hosting which is Linux-based. Unfortunately, though, Bluehost isn’t able to offer VPS which is Windows based. Web hosting costs start at $29.99 per month (if paid monthly), $29.99 a month (if you commit to 6 months) or $23.99 a month (if you take out an annual subscription), $24.99 a month (if you take out a 2-year subscription) or $18.99 per month (if you commit to 3-years subscription). Web hosting costs start at $59.99 per month (if paid monthly), $59.99 a month (if you commit to 6 months) or $41.99 a month (if you take out an annual subscription), $35.99 a month (if you take out a 2-year subscription) or $29.99 per month (if you commit to 3-years subscription). Web hosting costs start at $119.99 per month (if paid monthly), $119.99 a month (if you commit to 6 months) or $83.99 a month (if you take out an annual subscription), $71.99 a month (if you take out a 2-year subscription) or $59.99 per month (if you commit to 3-years subscription). Bluehost’s prices are typical for this type of hosting and built on cPanel with the standard custom interface offering hassle less management. Also included are backend upgrades ensuring a clean interface, making it very easy for even novice users to use. Bluehost also offers educational tools and online forums. As expected, every company that offers dedicated server hosting plans will be much more expensive than either VPS or shared business hosting options. 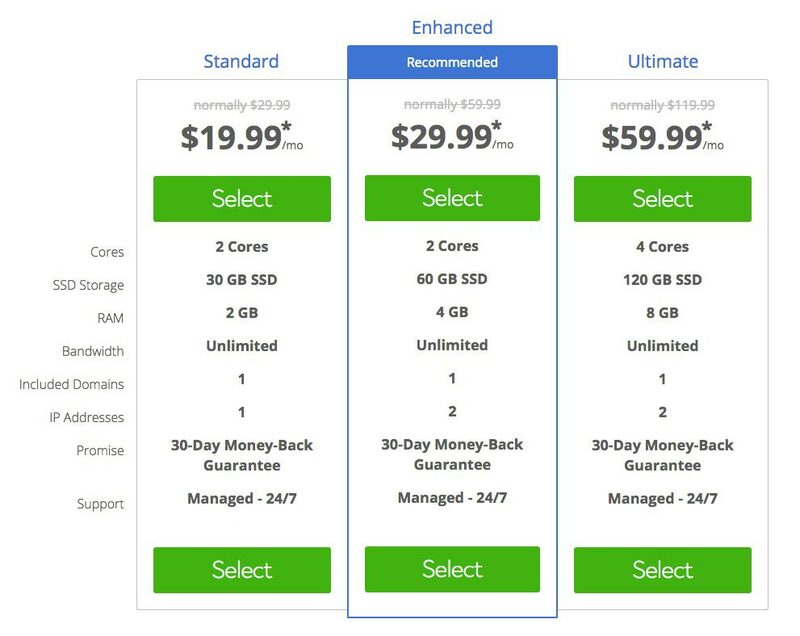 Web hosting costs start at $74.99 per month (if paid monthly), $129.99 a month (if you commit to 6 months), $99.99 a month (if you take out an annual subscription), $89.99 per month (if you subscribe for 2-years) and $79.99 per month (if you take out a 3-year subscription). Web hosting costs start at $99.99 per month (if paid monthly), $179.99 a month (if you commit to 6 months), $119.99 a month (if you take out an annual subscription), $109.99 per month (if you subscribe for 2-years) and $99.99 per month (if you take out a 3-year subscription). 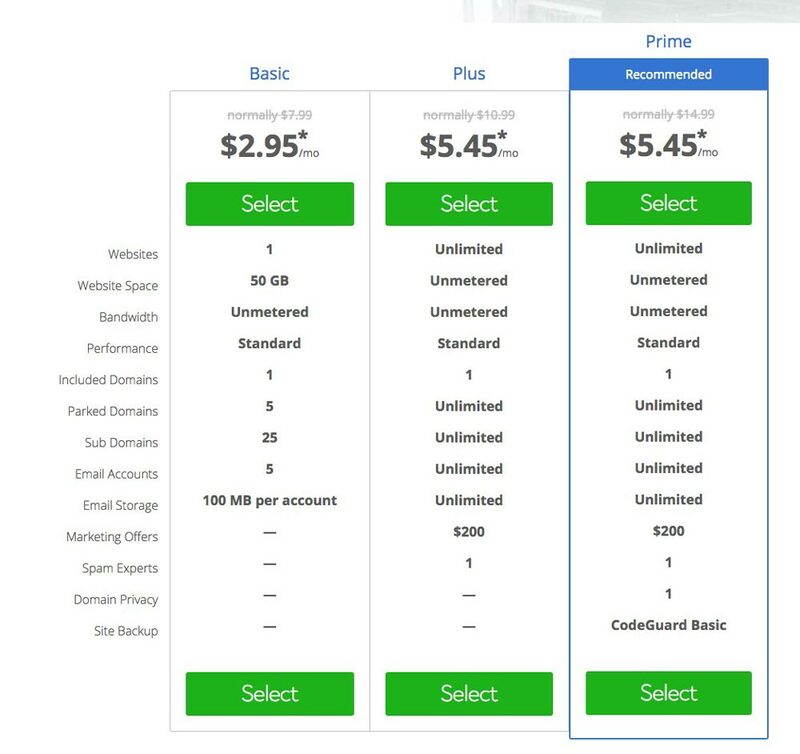 Web hosting costs start at $124.99 per month (if paid monthly), $229.99 a month (if you commit to 6 months), $139.99 a month (if you take out an annual subscription), $129.99 per month (if you subscribe for 2-years) and $119.99 per month (if you take out a 3-year subscription). Web hosting costs start at $39.99 per month (if you pay monthly), $38.99 per month (if you pay for 3 months at a time), $37.99 per month (for 6 months subscription), $29.99 per month (if you take out an annual subscription), $24.99 per month (if you take a 2-year subscription) or $19.99 per month (if you commit to 3-year subscription). Web hosting costs start at $69.99 per month (if you pay monthly), $67.99 per month (if you pay for 3 months at a time), $65.99 per month (for 6 months subscription), $49.99 per month (if you take out an annual subscription), $39.99 per month (if you take a 2-year subscription) or $29.99 per month (if you commit to 3-year subscription). 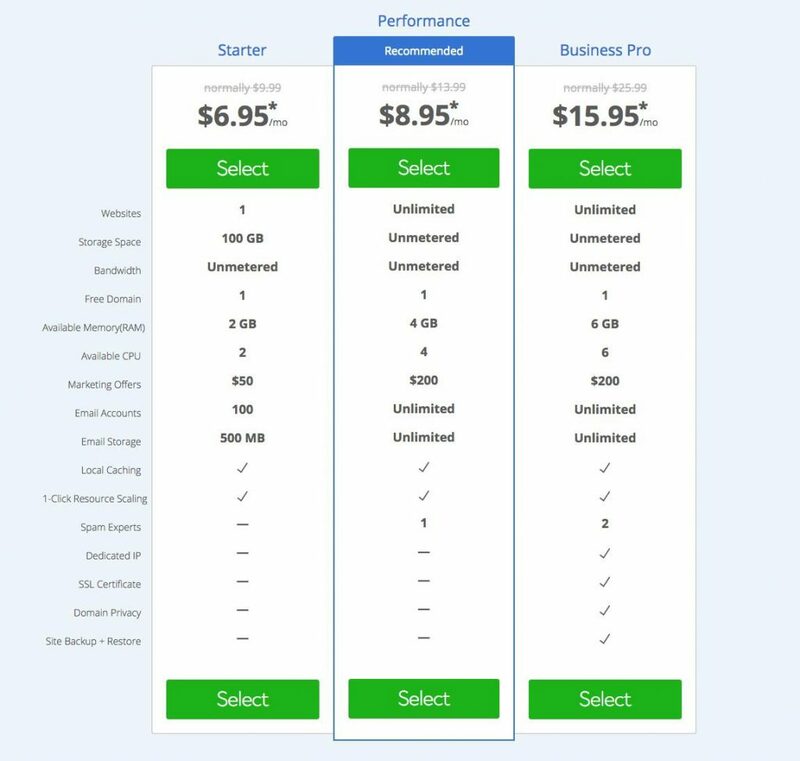 Web hosting costs start at $89.99 per month (if you pay monthly), $87.99 per month (if you pay for 3 months at a time), $85.99 per month (for 6 months subscription), $59.99 per month (if you take out an annual subscription), $49.99 per month (if you take a 2-year subscription) or $39.99 per month (if you commit to 3-year subscription). Web hosting costs start at $129.99 per month (if you pay monthly), $119.99 per month (if you pay for 3 months at a time), $109.99 per month (for 6 months subscription), $69.99 per month (if you take out an annual subscription), $59.99 per month (if you take a 2-year subscription) or $49.99 per month (if you commit to 3-year subscription). For all of the above plans, Bluehost will perform automatic caching and site backups. Compared to other hosting providers, these are quite expensive. 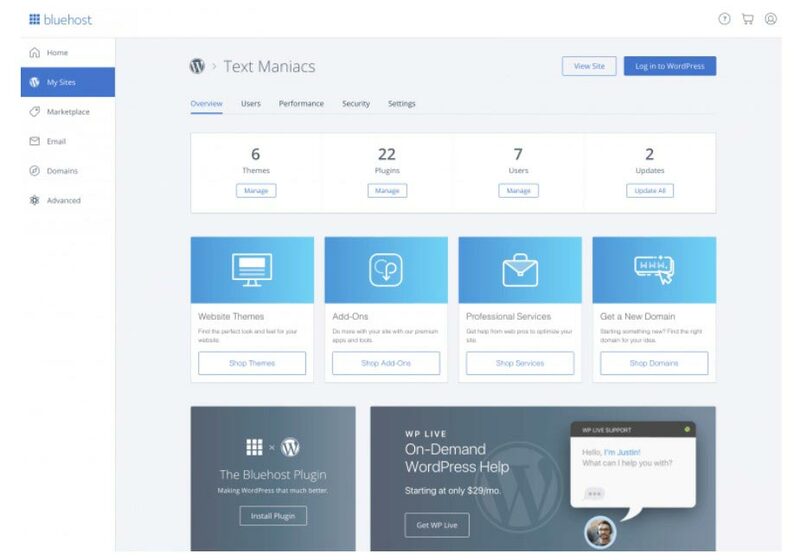 As Bluehost play a big part in the WordPress community, Bluehost are able to offer outstanding customer support and be able to troubleshoot complex problems unique to WordPress. Like many other web hosting providers, Bluehost offers their clients cloud hosting. The benefits to cloud hosting is that you are able to scale resources in ‘real time’ because you aren’t limited to any physical server restraints. Bluehost does offer competitive cloud hosting options which are worth considering. Web hosting costs start at $10.95 per month (if you take out an annual subscription), $8.95 per month (with a 2-year subscription) or $6.95 per month (when you take a 3-year subscription). Web hosting costs start at $15.95 per month (if you take out an annual subscription), $11.95 per month (with a 2-year subscription) or $8.95 per month (when you take a 3-year subscription). Web hosting costs start at $20.95 per month (if you take out an annual subscription), $17.95 per month (with a 2-year subscription) or $15.95 per month (when you take a 3-year subscription). If you feel that you have outgrown shared business hosting and are looking for more resources, then this option could be for you. Bluehost’s dashboard is packed with applications which enables you to integrate services such as Google Apps and Cloudflare. Once you have integrated Google Apps within your Bluehost platform, you can enjoy all the perks that Google brings to your business all in one place. Cloudflare is also accessible from within your Bluehost platform by merely accessing the integration in cPanel. Setting up an online store and the choice of shopping carts are endless. It’s as simple as installing them, and then you can go. This can either be installed by yourself or a developer. Bluehost offers a free domain registration but bear in mind that if you are looking to register 10+ domains, I would recommend you go to a domain register instead, as it will be a lot cheaper. It’s not always best to keep all your eggs in one basket. Another feature that Bluehost offer is Weebly. 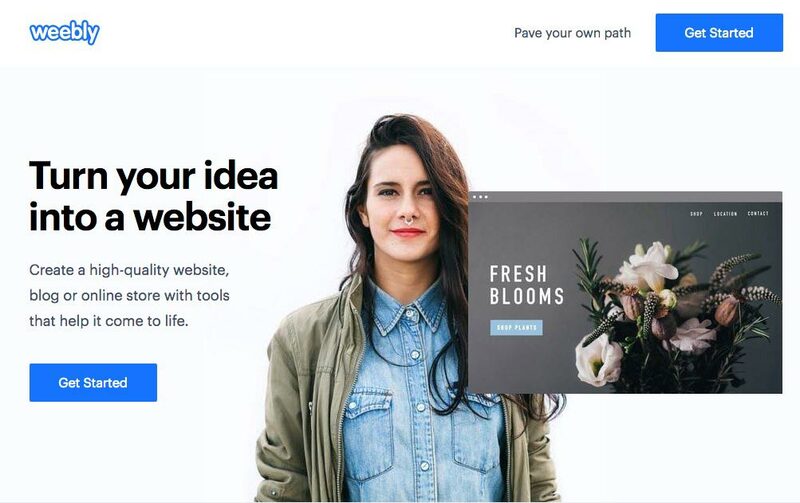 Weebly is a website builder, and they offer the basic edition as part of your package which allows you to build up to six web pages. It also supports Adobe Flash and YouTube as well as basic SEO. There is a Pro version of Weebly which gives you the option of building unlimited, and it also comes with additional security features as well as customization of themes and templates. With some of their plans, Bluehost offer $200 free marketing credits which can be used to promote your business. This can be via Google, Twitter, Facebook or Bing. That’s a nice touch Bluehost. I’m now nearing towards the end of this review, and I hope it’s given you an overview of Bluehost and what it has to offer. I think the important question is… Is this the hosting provider for me? If you have a WordPress site, then Bluehost could well be on your shortlist. Especially as it carries the WordPress Tag. 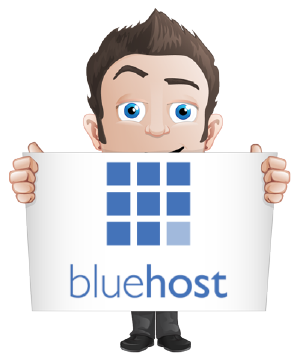 With plenty of exciting extras and features, Bluehost plans offer flexibility for all budgets. The majority of its customers are happy, despite some feedback which is negative, so if you are looking for a hosting company that offers cheap, scalable plans, then Bluehost is for you.